My boyfriend and I moved into our first apartment together this past October. 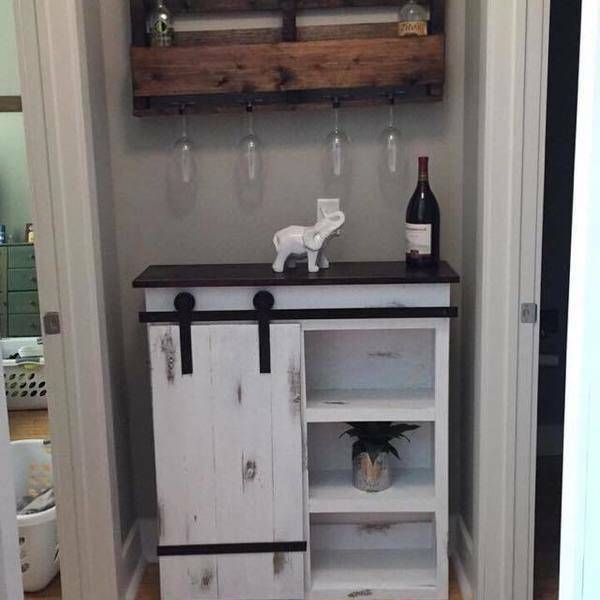 We had very limited space in the bathroom so I created this piece to store our extra towels (hidden) and used the exposed piece to act as our bar! Love the barn door on this!